Last year I started to get into gardening, helping my mum with re-potting, planting an apple tree (currently on my third attempt) and even creating a new border for the garden. 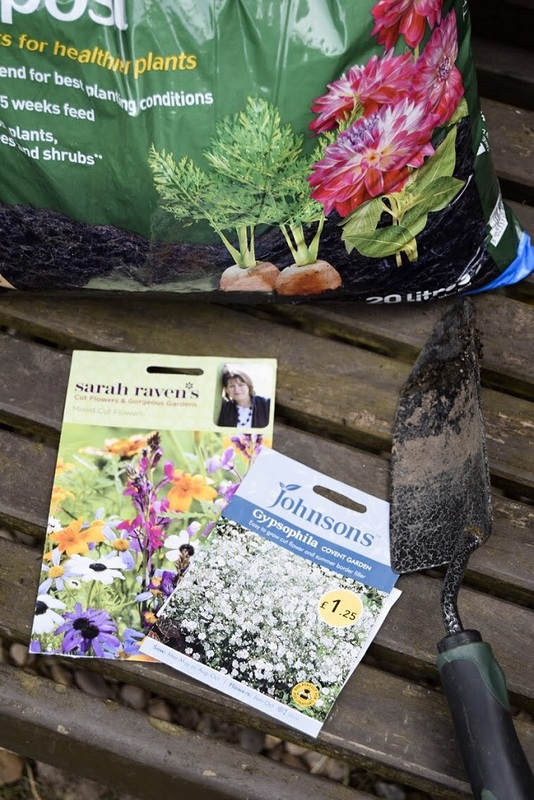 This spring I'm back out in the garden and have started to sow some flower seeds for summer blooms! 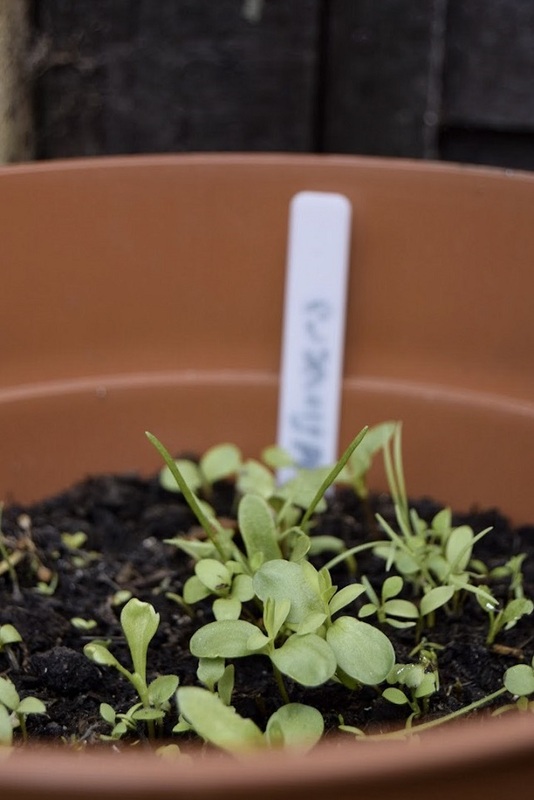 I don't think I've shared any gardening posts on the blog before and so I thought it would be nice to share something a little different on the blog! I've been inspired by Rosie's (Cider With Rosie) 'From the Vegetable Patch' posts, which I've been loving reading about her vegetable patch progress! I'm still new to gardening so I'm not quite there with growing vegetables and fruits but I'm hoping to at some point, but for now I'm getting some more practice with growing flowers from seeds. The weather has been so beautiful lately and so it's been a perfect opportunity to get out in the garden. I visited some garden centres a few weeks back and I couldn't resist looking around the flower seeds section. I'd really love to start making my own posies in the summer with flowers that I've grown in the garden, so I found a few cut flower seed packets that would be perfect to pop into jars around the home! I've started off with some mixed cut flowers, gypsophila (baby's breath) and wildflowers. 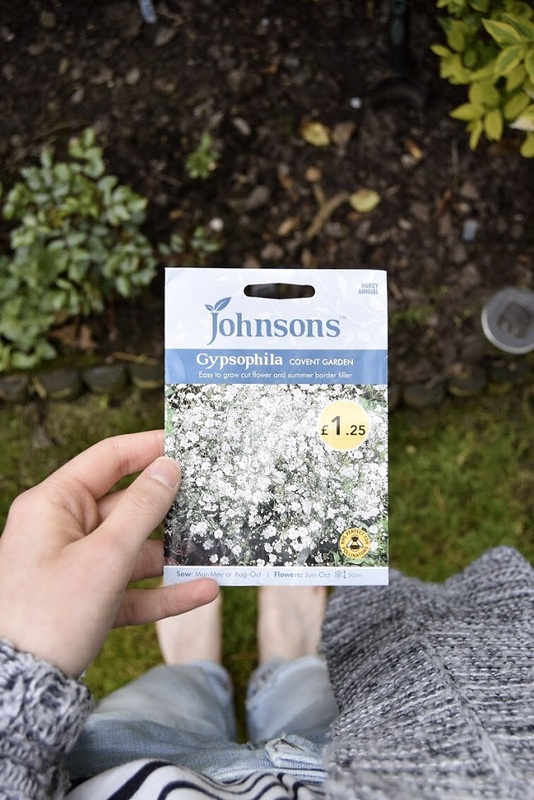 Gypsophila being one of my favourites for its delicate white flowers which are the perfect addition to any bunch of flowers and also makes a great border flower for the garden. Not to mention they are also bee friendly! 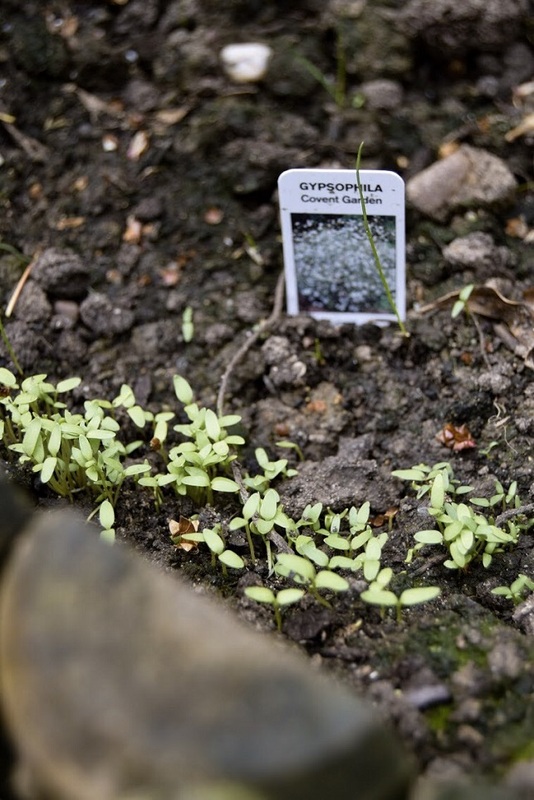 I started to sow these seeds two weeks back and already little seedlings are starting to appear, which is so exciting to see! The wildflowers also seem to be doing well too, which I'm currently growing in plant pots. I had a go at growing some last year but only a few bloomed for the summer, so hopefully this year I'll have my own mini meadow growing! I also wanted to mention that since it's mental health awareness week and I'm always on the lookout for ways to manage my anxiety and stress, gardening has become something that I've found to be very therapeutic. I've been feeling at ease when spending time outside in the garden, planting seeds, taking snaps of the flowers growing or just sitting outside in the sunshine listening to music. After going through a bit of a tough time with the winter blues, it's also been so lovely to see some beautiful colours in the garden for spring. So I have my fingers crossed that there will be a lovely selection of flowers growing in the garden for summer! 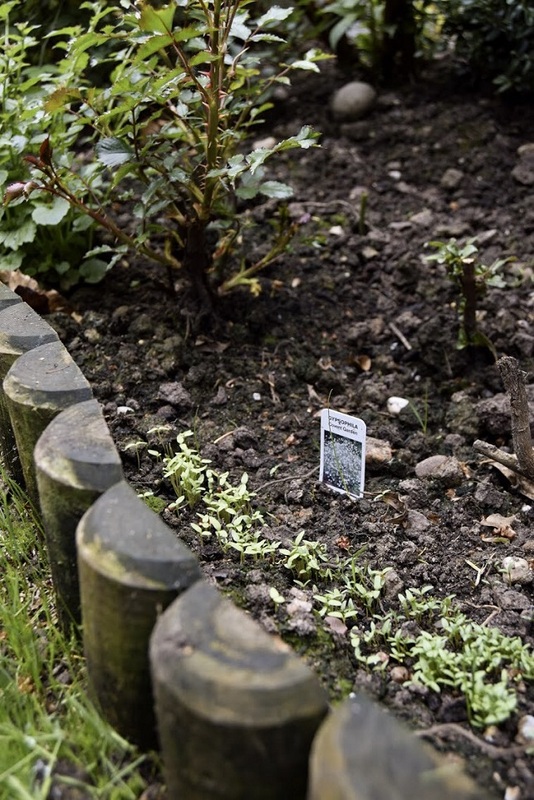 Have you been getting up to any gardening lately?